College is a very exciting period for most students, especially those who are in Freshman years. Aside from taking their first step towards their career goals, college freshmen also look forward to all the campus activities that they can join. But before anything else, students must be properly equipped to tackle college life. If you’re already prepped for college then here are some school essentials for the college students that you may want to pack. High Quality Bag. You can take your pick among backpacks, tote, messenger bag, rucksack, et cetera. It doesn’t really matter what type of bag you choose to carry your belongings. What is important is the quality of your bag. It has to be sturdy and durable to last at least throughout your freshman year. Notebook and Pens. Note taking is part of the learning experience. There are different tools that you can use for note taking but a notebook and pen is as basic as you can get. You can find plenty of nice looking college notebooks online or have one customized for you. Student Planner. Expect to have a busy schedule when you’re in college. You’ll have to juggle your classes with group meetings, school activities, projects, and homework. It would be best to have a student planner to help you manage your time and activities. Learning Accessories. Basic school supplies like pencils, scissors, stapler, and hole punch are also school essentials for the college freshman. These tools can help you with school projects and in organizing your files. You can also make use of Index Cards, highlighters, and adhesive markers to help you with your notes. Cellphone. Everyone has gone digital nowadays and having a good smartphone can help you cut down on your school supplies list. A smartphone like the OPPO F3 is a great addition to your list of school essentials for the college freshman. It is equipped with a calculator, WPs office, and voice recorder. These tools can help you take notes or record lectures, organize your schedule, and do reports or papers. 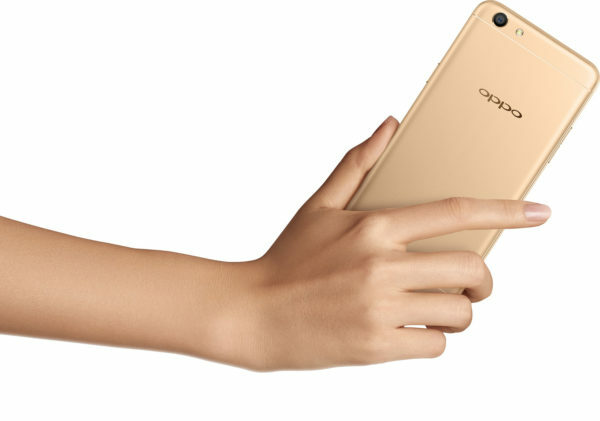 Plus, the OPPO F3’s home-button fingerprint reader provides lightning-fast touch access in just 2.0 seconds—the fastest in the market– meaning only a slight touch is enough to unlock the device. Research is also not a problem with the OPPO F3. It has an Ultra-fine “Six String” Antenna Lines feature that gives it an improved Wi-Fi performance. Plus an MT6750t Octa-Core 1.5GHz that allows you to multitask. You can also use its 64GB storage plus 126GB using memory card to store all your important files, research, and projects instead of having a hard drive. Even with a busy schedule, a college freshman shouldn’t neglect his leisure time. The F3 lets you play games in high settings anytime and anywhere. You can also capture memories of your college life with its 13MPf/2.2 rear shooter. This allows you to take really good photos with rich colors and plenty of details. You can even take photos or videos in slightly dim conditions and still get good results. The F3 camera can also be used for your school projects or documenting special events on campus. Or you can use it for class pictures since the F3 is designed with a 16-megapixel selfie-focused main camera paired with a sub-camera capable of capturing groufies through a larger field of view. So fitting an entire class inside a single shot will no longer be a struggle. Even the rear camera offers high-quality performance. Powered by PDAF technology, the back camera is capable of fast focusing speeds to capture precious moments without causing any blurring. Even in its attractively slight 5.5-inch unibody, the F3 manages to pack a powerful 3200mAh battery, giving the the right weight in the hand and offering excellent battery life performance. There is no need for a long list of school supplies when you have this smartphone with you. The OPPO F3 is perhaps the most useful tool in the list of school essentials for the college students. It is packed with features that would make life easier for the student and best of all its very handy. It doesn’t take much room in your bag and you can easily pull it out of the bag for a quick note. It’s very affordable too. For only Php15,990, you can have most of the things you need for school. You have an impressive selection of back to school items. The phone alone would any student happy. I totally agree with your list. May F1s ako, very helpful sya sa school, what more sa f3! fun to keep these all in mind, like way cool. would so awesome to keep in mind when my brother goes off to college.